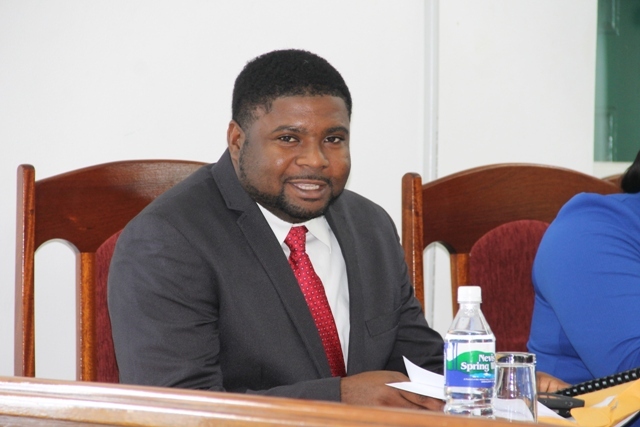 NIA CHARLESTOWN NEVIS (MAY 29, 2015) — Junior Minister in the Ministry of Communications, Works and Public Utilities Hon. Troy Liburd, says work on the 12 month-multi-million dollar Hanley’s Road Rehabilitation project, is proceeding smoothly and is expected to be completed by the first quarter of 2016. The Minister made that disclosure when he delivered a statement at the May 27 sitting of the Nevis Island Assembly. 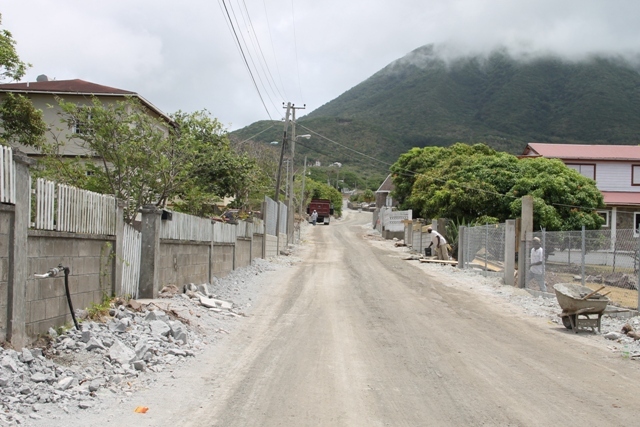 According to Mr. Liburd, the project had a budget of EC$8 million and work was being effected by the Public Works Department in the Nevis Island Administration. The project involves the widening and resurfacing of the Hanley’s Road throughway from the St. George Anglican Church to the end. It would also include the resurfacing of some tributary roads, the upgrade of water mains by the Nevis Water Department; the upgrade and relocation of low voltage utilities (telephone and cable lines) and the relocation and upgrade of high voltage electricity utilities. In his progress report on the project, the Minister said since the project’s commencement work was done in the upper section of Hanley’s Road from the Anglican Church and widening done as far as Rices. “They have also done some upgrades to the water mains in the area just below the St. George Anglican Church and there has also been some shifting of some the underground telephone wires in the area. “There has also been excavation of the undesirable material, removal of some of the existing roadway and the replacement of sub base material and compaction of sub base material to date,” he said. 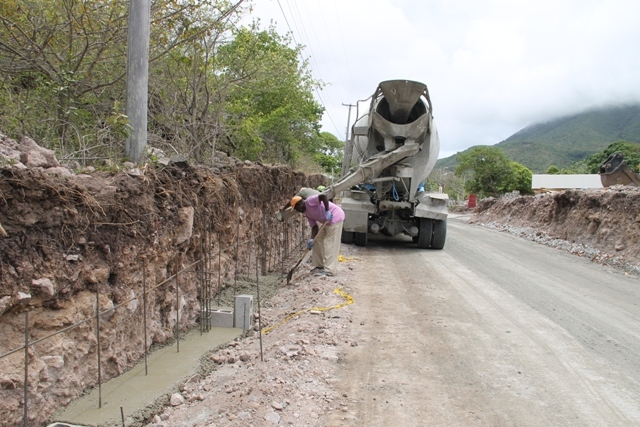 Mr. Liburd stated that to date the Public Works Department has spent just over $500,000 so far on the project, with $200,000 spent on securing aggregate; approximately $120,000 on trucking and equipment work and just under $100,000 spent so far on labour.